I am sitting here wondering why all these department stores are having big sales this weekend (more to come, trust me) and then I realized 2013 is half over. Maybe, just maybe that has something to do with it. 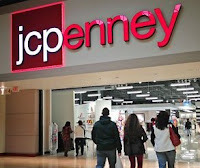 JCP, or JC Penney, is discounting thousands of items through Sunday. Bonus: The more you spend, the more you save (up to $20 with $100 purchase) on select items. Pick your department and get saving - clothing, accessories, shoes, home items, and more are included. All of them are at a minimum of 20% OFF, so there's no bait-and-switch going on here. Not that I would post anything of the sort regardless. That should only be a fishing term in my world. Click here to view the sale at JCP and to shop.